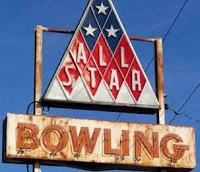 ... 1968, police officers shot into a crowd of students during a bonfire demonstration at South Carolina State College in Orangeburg, South Carolina, a town where protests against racial segregation practiced at the town's lone bowling alley had been going on for 2 days. (photo credit) The shootings left 3 students dead and 27 wounder. According to the website of North Carolina's Durham County Library: "The 'Orangeburg Massacre' was the first such incident at an American college, predating the shootings at Kent State University in Ohio by two years."